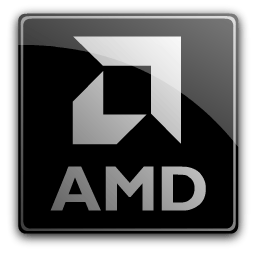 You can download the latest AMD Radeon Crimson Edition Graphics Driver Hotfix here. Radeon Software Crimson ReLive Edition is compatible with the following AMD Radeon products. Note that AMD Radeon R9 Fury, Radeon Pro Duo, and Radeon RX 400 Series graphics are only supported by Radeon Software Crimson ReLive Edition on Windows 7/8.1/10 64-bit. Compatible with desktop discrete AMD Radeon GCN and Radeon RX 400 Series enabled products with at least 2GB of VRAM, AMD VCE Support and Windows 7/8.1/10 64 bit operating systems. Radeon ReLive is currently considered "as-is" beta level support for 32 bit operating systems. Compatible with AMD Radeon GCN and Radeon RX 400 series enabled products in specified AMD supported titles and applications with Windows 7/8.1/10. Power saving and temperature reduction results may vary based on system configurations. Compatible with desktop discrete GPU AMD RadeonR9 Fury series, R9 390 series, R9 380 series, R9 290 series, R9 285, R9 260 series, R7 360, and R7 260 products with Windows 7/8.1/10. Compatible with AMD Radeon GCN and Radeon RX 400 Series enabled products with Windows 7/8.1/10. Compatible with AMD Radeon GCN and Radeon RX 400 Series enabled products with Windows7/8.1/10. Compatible with AMD Radeon R9 285, 290, 290X, 380, 390, 390X, R7 260, 260X, 360, R9 Fury series, and Radeon RX 400 series products with Windows 7/8.1/10. Requires an AMD FreeSync technology certified capable display and AMD graphics product. Compatible with AMD Radeon R9 285, 290, 290X, 380, 390, 390X, R7 260, 260X, 360, R9 Fury series, and Radeon RX 400 series products with Windows 7/8.1/10. Feature is not available worldwide and may not be available in your country or area. Compatible with desktop AMD Radeon R9 Fury series, R9 380, R9 390 series, and Radeon RX 400 series products with Windows 7/8.1/10. Requires an HDR capable display and game content. Requires supported Chrome web browser versions with Hardware Acceleration enabled. Compatible with AMD Radeon GCN and Radeon RX 400 series enabled products on Windows 7/8.1/10. Compatible with AMD Bristol, Carrizo and Stoney AMD Family APUs with Windows 7/8.1/10 and supported Skype application. This driver is not intended for use on AMD Radeon products running in Apple Boot Camp platforms. Users of these platforms should contact their system manufacturer for driver support. When installing Radeon Software Crimson ReLive Edition 17.1.1 for the Windows operating system, the user must be logged on as Administrator, or have Administrator rights to complete the installation of Radeon Software Crimson ReLive Edition 17.1.1. Radeon Software Crimson ReLive Edition 17.1.1 requires Windows 7 Service Pack 1 to be installed.